What makes you rush to the Peet’s Coffee & Tea 5 miles past the nearest Starbucks every morning? Why is it that you can’t resist visiting the nearest Target store? Why do you always prefer United Airlines to one of its competitors? It has got nothing to do with a compulsive disorder, if you are thinking on those lines. The answer lies elsewhere… Maybe it’s for the , the rare teas or even the mouth watering creamy cappuccino that makes you return time and again. Regardless of the particulars, it’s the experience. 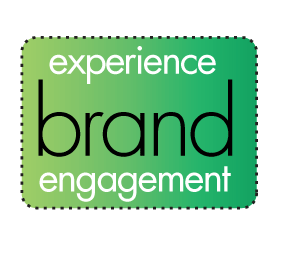 This emotional bonding with a particular brand experience is known as “brand engagement”. Fully master this technique and you will succeed. However this is not a “pull-the-rabbit-out-of-the-hat” trick. A powerful brand engagement is achieved through long-term consistent service, innovations, consistency and establishing a relationship with your customers. For start-ups and new companies it’s a learning process and it takes total commitment, hard work and empathy. In most cases, consumers first learn about your business before trying out your products or services. Therefore effective messaging is essential, answering your consumers needs from the get go. Your customers want relevant information and their imagination must be inspired, picturing the benefits applied to them from your products or services. That’s the beginning of an emotional connection which births the relationship called the “brand engagement”. Once you and your workforce realize they are the ultimate holder of the brand, you / they must always be conscious of delivering information, service, and self-reliance that inspires your workforce to apply their finest judgment throughout the consumer interaction cycle. It is ultimately the staff and subordinates with the support of the management that create an impression on the customer through the service and ambiance. A good place to start is to focus on the key values, your organization has been built upon and then understand the consumer perception of the brand. This is your foundation for a communication strategy focused on improving the consumer perception of your brand. Simplicity is best. A brand should stand for one general theme in the mind of your customer. Getting your brand value and positioning accurately tuned will inform the relationship and eventually the overall brand engagement. Considerations also include your brand image, identity, personality as well as the brand name and brand loyalty most importantly. Carefully crafting an emotional connection, humanizing your organization in your consumer’s heart, is a key factor in securing success. Sounds a little “foo – foo?” Maybe, but think about this. Relationships are built on emotional connections. Emotional connections inform long-term engagements. Long term engagements equals brand loyalty. Brand loyalty is money in the bank. Foo foo or not, once you have succeeded in creating this bond, your business is sure to prosper.